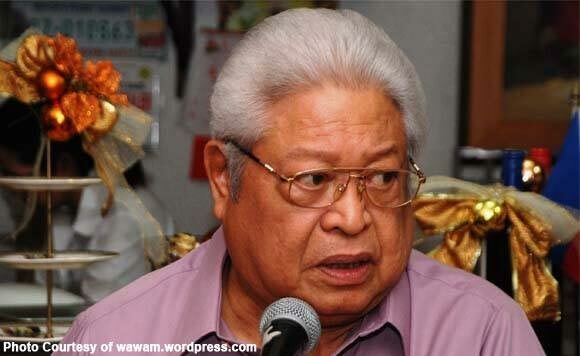 Albay Rep. Edcel Lagman said in his statement that Marawi City would not have been left in ruins had President Rodrigo Duterte not declared martial law. President Rodrigo Duterte declared martial law in Mindanao on May 23 due to the clash between government troops and the Maute group. Lagman blamed the government’s offensive against the Maute group for the destruction of Marawi City. “No place in Mindanao has been destroyed before with excessive gravity by terrorist attacks compared to the massive destruction brought about by the military might in Marawi City,” Lagman added. Meanwhile, well known journalist Ira Panganiban lambasted Lagman after the politician released his negative statement against the current administration. “He should be shot for being a traitor. “The terrorists would have taken Marawi and turned it into their capital in SEA if the government did not stop them. “The destruction of Marawi was caused by the aborted attempt of ISIS and Maute group to occupy the city through force. They burned down churches, prisons, and government buildings. “Still, this half-baked brother of a revolutionary comes up with statements like this to try and keep himself in the limelight. “Kinakahiya ka na ni Popoy sa totoo lang. “Wala ka din pinagkaiba kay Trillanes. Congress version ka niya. Recently, Former Defense Secretary Gilber “Gibo” Teodoro Jr. explained why airstrikes are necessary to destroy the Maute Terrorist Group in Marawi City. He defended the airstrikes conducted by the Philippine Air Force saying that the action of the military is a good strategy not only to neutralize targets but also to protect the troops in the ground. According to him, the properties can surely be damaged by airstrikes, but the life of the soldiers battling the Maute Terrorist Group are more important than building that be rebuild. He also urged the public to not condemn the actions of the military, but condemn the violence committed by the Maute Terrorist group. “On the other hand the real menace is the fact that the Maute gang takes refuge in dwellings and other urban locations, use rocket propelled grenades without regard to surroundings, ieds, snipe at civilians, rob, pillage, murder, and terrorize! This is the threat faced. This is what must be condemned!"